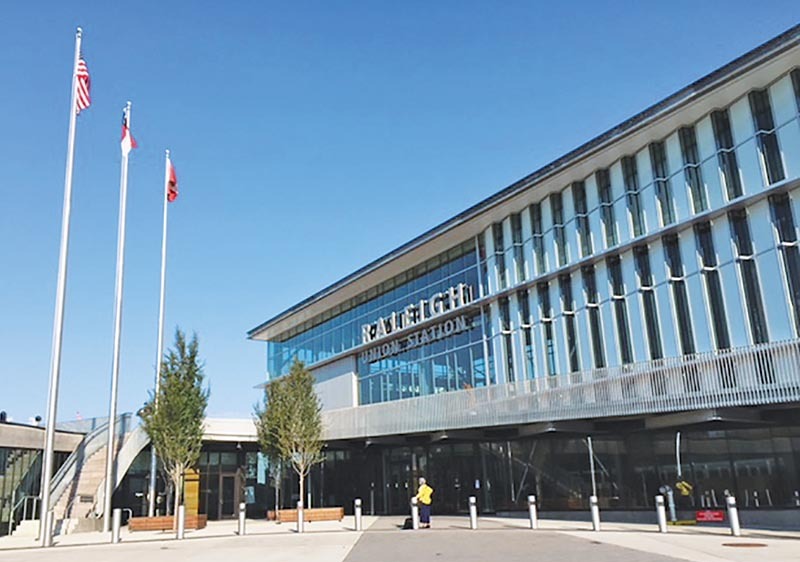 It may not be as well-known as rail programs in California, Washington, Illinois, or Michigan, but North Carolina’s approach to rail is one of the most innovative and unique in the country. Perhaps it is because it started quietly and grew slowly and steadily, largely unnoticed even by many rail advocates elsewhere. What the Tar Heel State, now the nation’s ninth most populous, has accomplished in nearly three decades of effort is, however, quite remarkable. 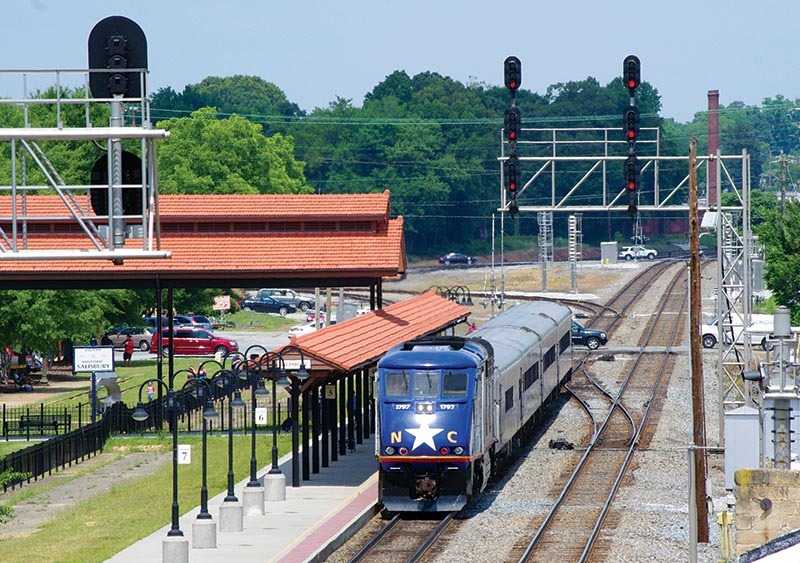 The rail passenger component of the North Carolina Department of Transportation (NCDOT) has long supported a semi-long-distance Amtrak train, the Carolinian, between Charlotte and New York City (704 miles), and has developed a growing 173-mile “Piedmont” corridor between Raleigh, the state capital and second-largest city (metro population 1.3 million), and Charlotte, the largest city (metro population 2.5 million), distinctly apart from Amtrak although operated by Amtrak train crews. 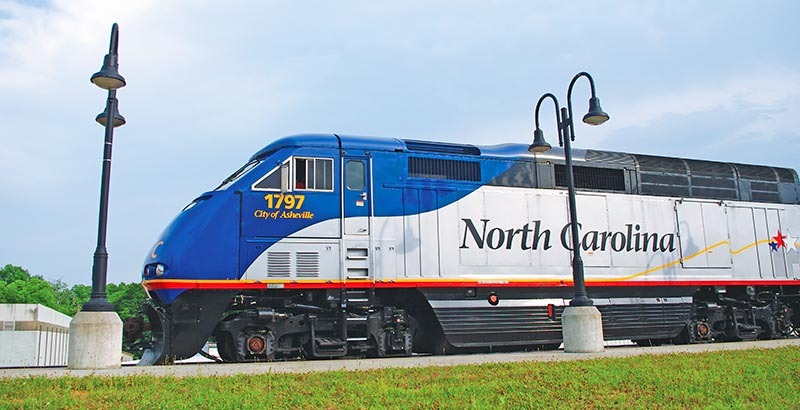 North Carolina sets the Piedmont schedules, markets the service, owns the motive power and equipment—featuring its own distinctive paint scheme—and maintains it using outside contractors selected by the state at maintenance bases in Raleigh and Charlotte. The trains appear as Amtrak service on its website and were shown in Amtrak timetables before Washington decided that timetables were a thing of the past. North Carolina disagrees with that assessment and continues to publish its own timetables for the Carolinian and the Piedmont services. There’s even a toll-free number to call for information (800-BY-TRAIN), and it is posted on numerous NC-BY-TRAIN signs along major highways in the state. When the number is called, Amtrak doesn’t answer, North Carolinians do. The seed for state involvement dates back to 1984, when a Public Transportation Division was initiated by Gov. Jim Hunt, a Democrat. 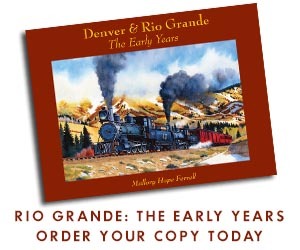 The first tangible result was the creation of the Charlotte–Raleigh–Richmond–Washington–New York Carolinian that year, giving Charlotte and Greensboro a daytime route to New York in addition to the nocturnal Crescent, and via a different route east of Greensboro, one that introduced Charlotte–Raleigh service for the first time in over 50 years, and added Richmond, Va., as an intermediate stop. Unfortunately, the train’s funding lasted only 10 months, and it was not until 1990 before it returned, under the administration of Gov. Jim Martin, a Republican. Meanwhile, in 1989, Gov. Martin’s Passenger Rail Task Force determined that the state should preserve essential rail corridors for future freight and passenger service and should establish additional passenger service be tween Raleigh and Charlotte. 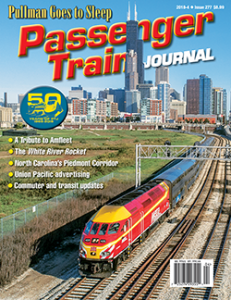 Read the rest of this article in the 2018-04 issue of Passenger Train Journal!